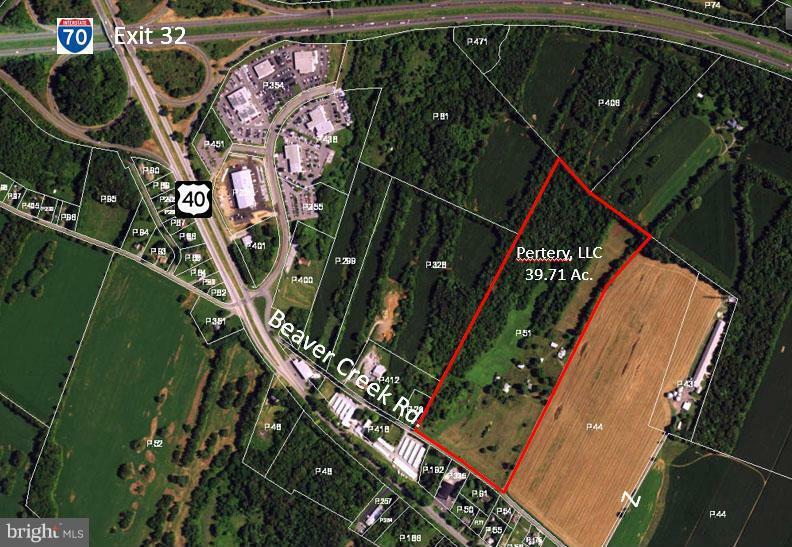 Available for sale is a 39-acre development site in Washington County, Maryland zoned "HI" Highway Interchange. The zoning allows for a wide variety of retail, business, office, and light industrial uses. This property was part of the proposed Hagerstown Gateway Shopping Center retail project totaling close to 850,000 SF of retail. Easy access to 70 & 40. Listing courtesy of Turning Point Real Estate.